Blockshow is announcing a new conference – Asia Blockchain Week, which will be hosted in Singapore from Nov. 27 until Dec. 1, 2018. The blockchain and cryptocurrency conference will attract over 100 of the top industry leaders and crypto influencers, and more than 2000 attendees, from over 50 countries. The venue for this event will be held at one of the most beautiful locations in Singapore, the Marina Bay Sands Luxury Hotel. This year’s lineup of speakers at Asia Blockchain Week include Crypto-Congressman and Taiwan Legislator Jason Hsu; CTO at IBM, Former Head of Innovation at Mas, Stanley Yong; Co-founder & Managing Partner at Kenetic, Co-Founder Social Alpha Foundation, Jehan Chu; Co-founder of BTCC and Board Member of the Bitcoin Foundation, Bobby Lee; Partner at DFJDragon Fund/ DraperDragon Fund, Richard Wang; Partner at Fenbushi Capital, Remington Ong; Blockchain Educator, Founder of Boxmining, Michael Gu; Partner at Sora Ventures, Former Managing Director at JRR Crypto, Vanessa Cao; Partner at Fenbushi Capital, Remington Ong; Partner at Global Blockchain Innovative Capital, named as top 10 most influential crypto funds by 36kr (TechCrunch of China) and ODaily (Chinese Blockchain Media) will be present on the stage, Sinhae Lee, and many more leading industry professionals. One of the most anticipated speakers, Mr. Thomas Lee, is a Fundstrat Global Advisors co-founder and a Wall Street analyst with over 25 years of equity research experience. He has consistently been ranked as the top institutional investor every year since 1998. Thomas Lee was one of the first “traditional finance” professionals that was talking about Bitcoin, and he is well-known for his positive attitude towards cryptocurrency. 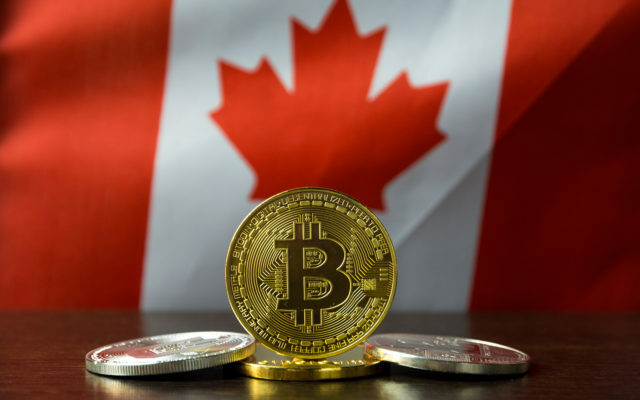 Some of his recent quotes are: “Ethereum will rally strongly up to $ 1,900 by the end of 2019” and “Bitcoin could end the year explosively higher,” referring to an upcoming Bitcoin and cryptocurrency market trend reversal. 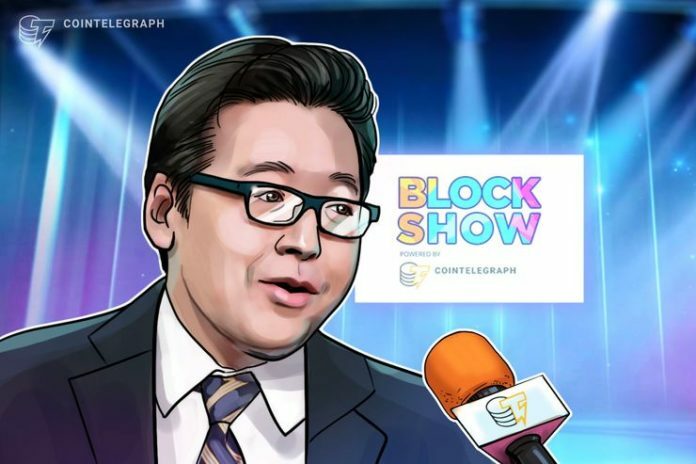 The Blockshow team met with Mr. Thomas Lee during BlockShow Americas in Las Vegas to ask him why he believes Bitcoin will have a great next year, and whether he is expecting a financial crisis to happen imminently. BlockShow: In your opinion, what will be the most profitable cryptocurrency next year? Will it be one of the well known currencies or do you expect some new players to have conquered the market? Mr. Thomas Lee: That is always very challenging to predict but I am sure it will be a token or coin with the best growth in active users. In the past year we saw the best performing cryptocurrencies have had the best growth in active users (e.g. EOS, XLM, BTC and DOGE). I at least expect Bitcoin to be one of the most profitable cryptocurrencies next year. BlockShow: When will Bitcoin break out of its long-run bear trend? Mr. Thomas Lee: Bitcoin is preparing to break out. It has found support around the $6,000 level, which equals the breakeven for mining costs. BlockShow: What do you think about the prediction of J.P. Morgan, that the next major financial crisis will strike the U.S. economy by 2020? Is that something you can agree with? Mr. Thomas Lee: In my opinion, a financial crisis will be inevitable to take place but the exact timing will quite uncertain. There is a greater leverage today and the global central banks have less “wiggle” room because of the current low rates. With that being said, I am not expecting an imminent crisis. BlockShow: Do you believe it will be possible, that the entire Asian region will become crypto-friendly in the future? Mr. Thomas Lee: Asia is a region where I expect crypto to flourish. There is a large population of young people and countries are technically savvy. Also, there are already extensive use-cases of digital money and platforms such as WeChat and others. BlockShow: When will Bitcoin break-out of its long-run bear trend? Mr. Thomas Lee: Bitcoin is preparing to breakout. It has found support around the $6,000 level, which equals the breakeven for mining costs. BlockShow: How do you think events influence the blockchain industry? Mr. Thomas Lee: Blockchain is dependent on community support and conferences and events allow communities to gather. BlockShow: What is your opinion on the U.S. Dollar backed stablecoin USDT? What do you expect? Mr. Thomas Lee: I am comfortable that USDT is backed by USD and I have confidence in the Tether team. BlockShow: What do you expect from stablecoins? Mr. Thomas Lee: Stablecoins are a novel idea and I hope they work. Tickets are available on the official BlockShow Asia website. There are also opportunities to sign up and contribute as a sponsor. Buy your tickets now and secure your front row seat for the best Blockchain Industry conference in the world!